Welcome to Kingsley-Hughes.com – the website of Adrian, Kathie, Amy and the rest of the Kingsley-Hughes family. Sometimes I find things I’ve written in the most unusual of places. 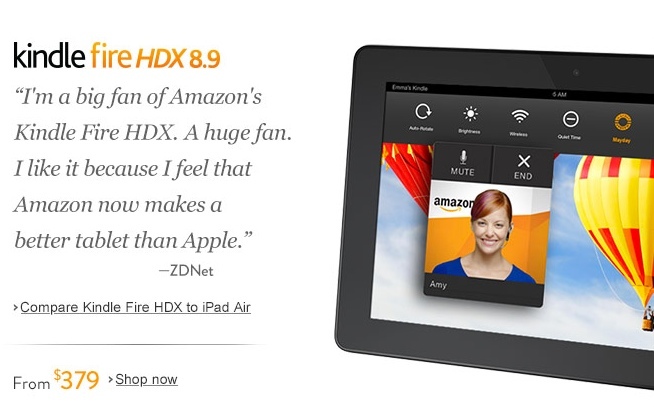 Amazon used a quote from my article “Five ways the iPad is lagging behind the Kindle Fire HDX” on the front page of its store. 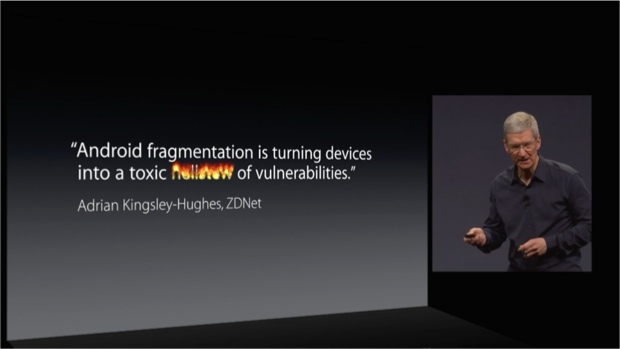 Apple CEO Tim Cook worked my headline “Android fragmentation turning devices into a toxic hellstew of vulnerabilities” into the WWDC 2014 keynote speech. It wasn’t the first time I’d used the phrase, but after this a lot more people started using it. 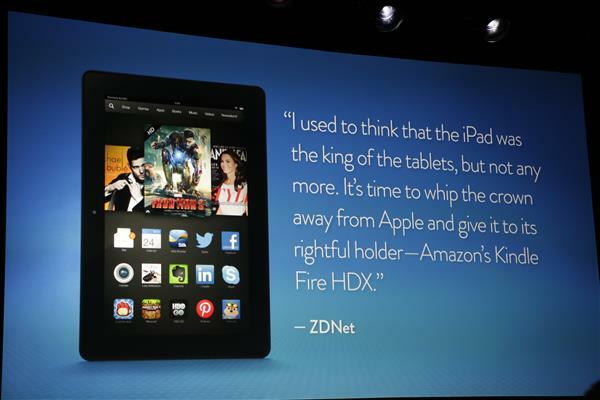 Amazon CEO Jeff Bezos grabbed a quote from “Why the Kindle Fire HDX is a far better tablet than the iPad” for a slide for the launch of the Fire Phone. >> Check out our new photography blog: Seeing the Gorilla for the story behind our photos, photography tips and things that we find useful, cameras, lenses and software! We welcome your feedback! Please feel free to contact us. © 2000-2019 Adrian and Kathie Kingsley-Hughes.